Motorola just announced the Moto Maxx, which is the DROID Turbo's international version sans Verizon branding. In terms of specifications, the phone is identical to the DROID Turbo and sports a 5.2" QHD display, 21MP camera with 4K video recording and 64GB of storage. The battery is unchanged from the DROID Turbo and is 3,900mAh with support for Motorola turbo charging technology. 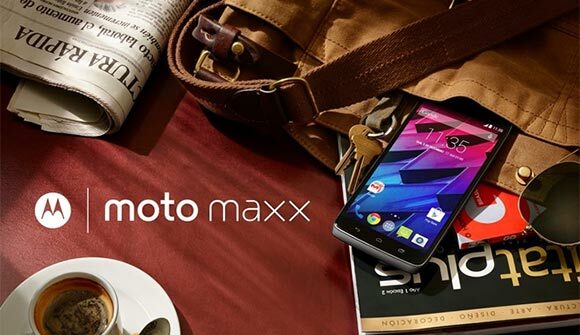 The Moto Maxx is offered in either ballistic nylon finish or metalized glass fiber reinforced with DuPont kevlar. The display is covered with a protective layer of Gorilla Glass 3 and the innards are covered with a water-repellent nanocoating. The phone launches on November 8 in Brazil. Mexico is going to receive the phone later in November, while more countries in Latin America await their turn. The company hasn't specified if the phone will make it outside the continent. To find out more about the Motorola DROID Turbo and, in turn, get an impression what the Moto Maxx is all about, check out our detailed hands-on of the device. Yeah but it increases the size of the phone substantially compared to the lg g2 for example. Its redundant to have capacitive buttons nowadays with immersive mode being more and more available in many applications now.